We are a highly experienced group of talented people. Our team consists of great historians, researchers, media experts, and battlefield detectives from different parts of the globe. For that reason, we provide historical consultant services for every form of media — book writing and publishing, digital media, social media, television and radio, documentary films, tourism, and even video games. Our historical advice and consulting centers on our ability to obtain original, archived documents in a timely manner to find exact footsteps for clients. 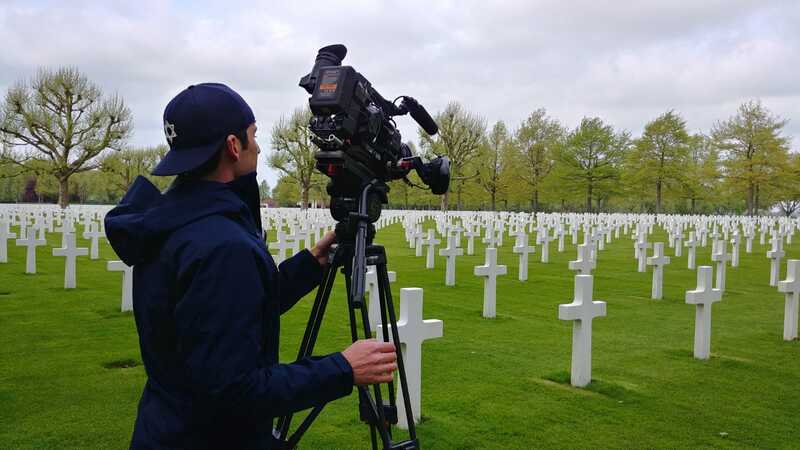 Joey van Meesen working on a shoot with a World War 2 Veteran! As Footsteps Researchers, our areas of historical expertise are all over the world! They specialize in Europe and Asia. Our experts live in close proximity to the battlefields!